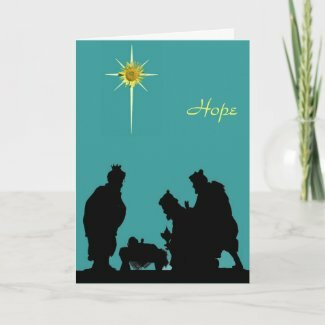 Hope is something that is often brought up during political c ampaigns and the holiday season. Americans eagerly await the coming of peace, whether in the Washington political structure or with Christmas cards. However, hope is not just some state of being where we sit idly by in passive expectation. As Daniel Kirk pointed out in one of a recent blog post, hope is neither just a disposition, nor a mere holding out until things work out in the end. Hope, in the Christian sense of the term, is something that is reality-driven and will not disappoint. Hope is something that will come about, just not yet. For those in Christ, hope is real because Jesus is risen and will come again to fulfill that expectation. What other roles might Hope play in Christmastime?